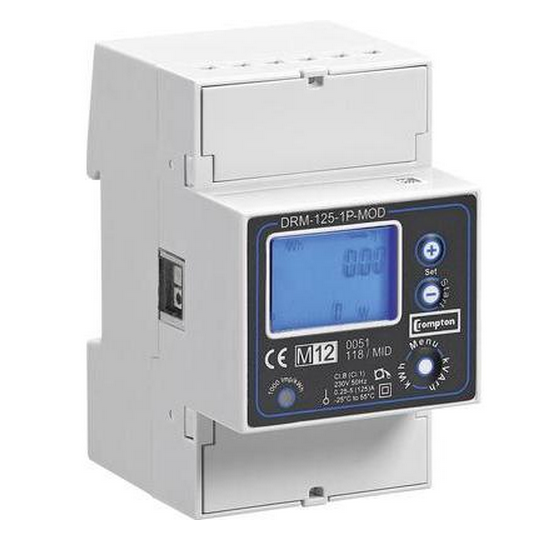 The DRM-125-1P-MOD is an MID approved, three module wide, DIN Rail mountable, single phase electricity meter manufactured by Crompton Instruments in Italy. 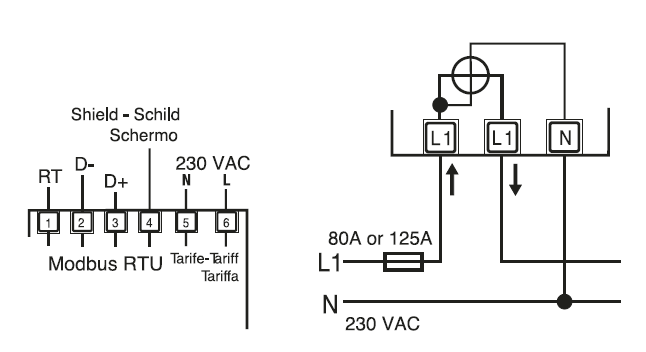 This 125 Amp single phase meter sets itself apart from the competition by including, as standard, import and export kWh readings on two tariffs. 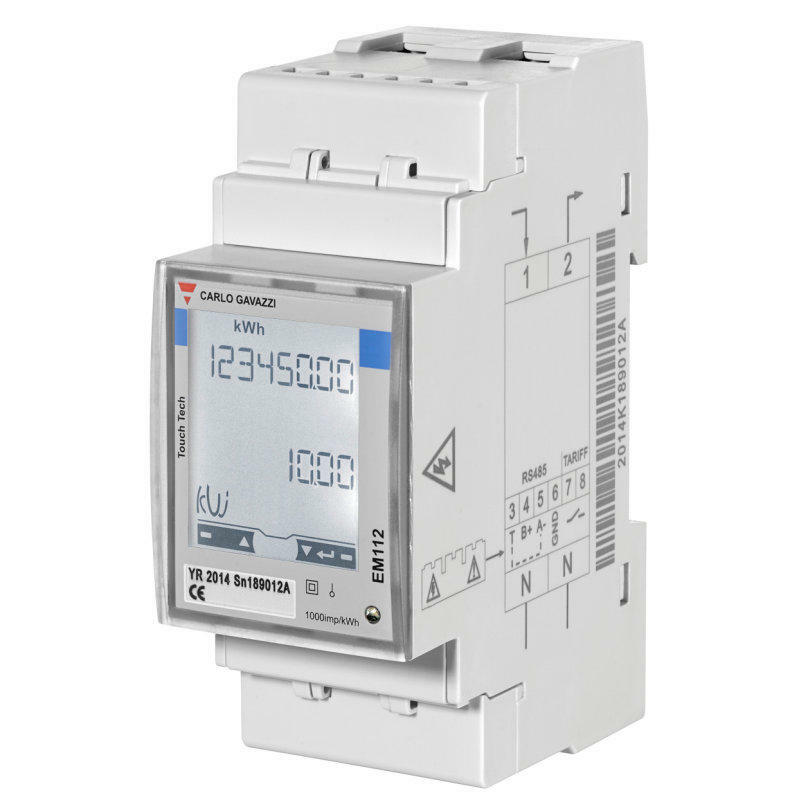 In addition it records Active Power (kW) (import & export) , both Capacitive and Inductive Reactive Power (kVArh & kVAr) (import & export) and Current (I) which makes it a more complete unit than many other single phase DIN Rail meters. 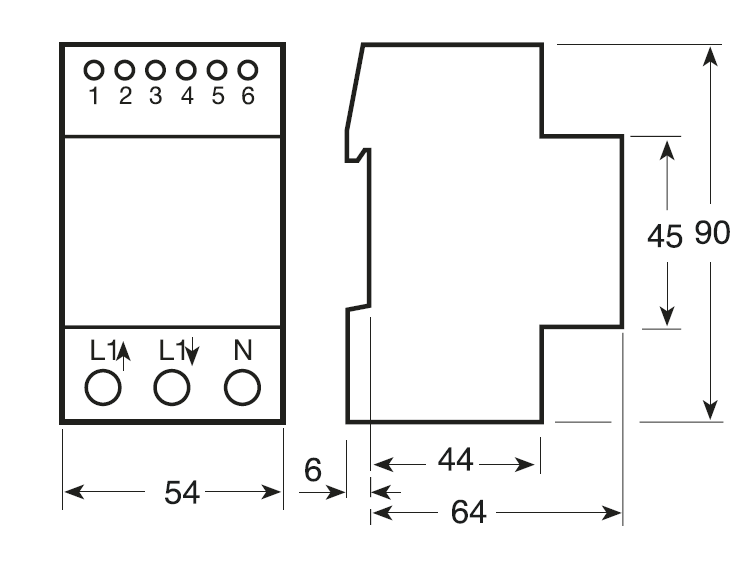 The meter comes an Modbus output and additional comms are available through a one module wide comms module, these are read through an IR port available on the meter. Comms options are: M-Bus (DRM-M); SD card data logger (DRM-LOG) and a power supply transformer for data logger (DRM-LOG-PS).